This spring feels all new and fresh. It is strange to think that it is not actually new, but a renewal. Looking back I can see now what I had forgotten; that for the last few years I have felt this way every spring. Yet I can still remind myself that this is not every spring. It is now. Over the last few days I threw myself into the jobs of spring; waking up the worms, turning over the earth. Two jobs loomed under a dark cloud in my mind. 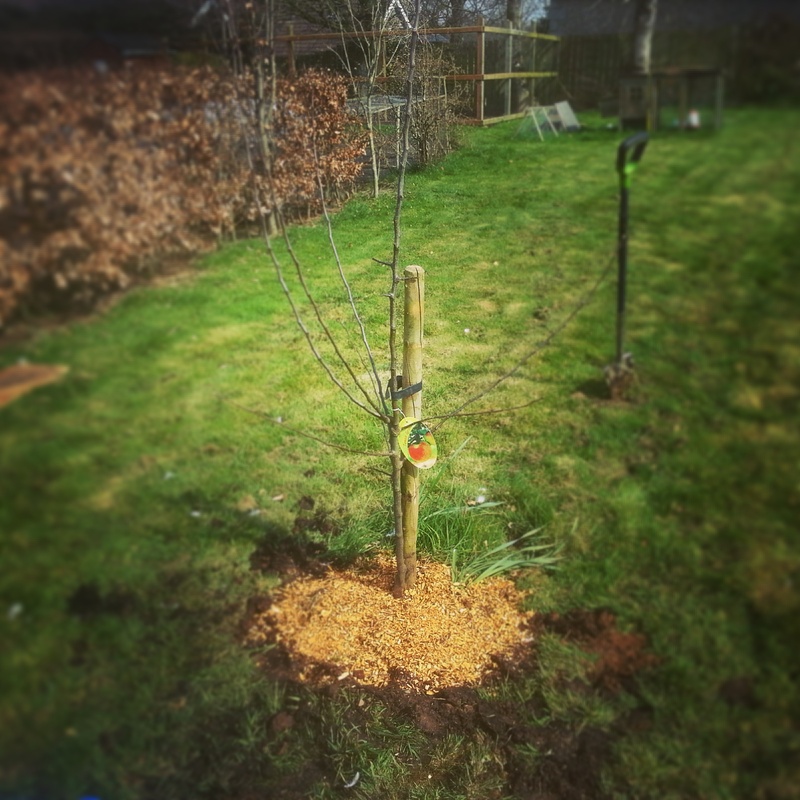 Job number one was the planting of the new apple tree (usually a nice job). Job number two sapped any joy out of job number one; the culling of the flock. Two of our oldest hens needed to go. They don’t seem to lay many eggs now they are no spring chicks. In addition to this, they seem to go broody in the early summer and yet, are unable to actually persist with their sitting long enough to produce chicks. It is a strange state of mind to be in when the welfare of the chickens, their quality of life, is so important. Yet pragmatism seeps into the picture. So, the new apple tree, and the two old hens were jobs that were tied to each other. I dug a big hole then grabbed my fishing net. I haven’t gone fishing since I was a teenager, but it didn’t take long for me to learn that a fishing net is essential when keeping chickens. I detached myself as much as I could from the job. Soon the earth was filled in and the apple tree was planted. As a distraction I unearthed our battery powered radio and turned it up while breaking earth for the last of the potatoes that need to be planted as soon as possible. The task at hand soon distracted me from the horrible jobs. The new apple tree was planted in the place of a quince tree I tried to move a year ago. Two trees, the quince and an apple tree, were suffering badly in their original position. No light and no water, as a thick fir hedge parched the earth around the trees. They were out of place and struggling to hold, with no hope of flourishing. The quince tree was quite mature and flowered early in the spring, yet never produced any fruit before dropping its leaves around mid summer. It was a gamble to move them but I didn’t see an option. The apple tree pulled through (sort of). The quince tree had a brief flush of foliage before giving up. The apple tree that seems to have pulled through was already stressed from its original home. It seems to have been attacked by a canker. After doing the research and now knowing what to look for, it seems one of the other apples and one of the pear trees are also infected. So, I made up a dilute bleach solution to sterilize the cutting tools between trees. 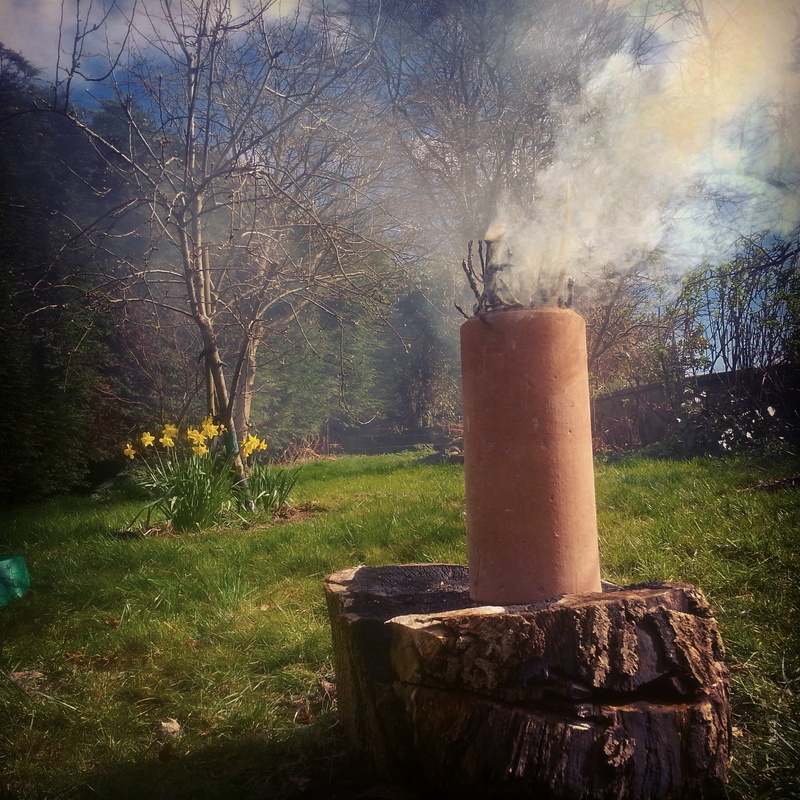 Then a bit of disused flue lining was re-purposed as an incinerator to burn the prunings. I had to cut away a lot from the worst tree, but needed to be done. After all the destruction I needed to try to counter some of it, even just a little. I planted some seeds. Basil and rocket are now slowly unfolding in the soil beside the beans and peas. I noticed the first of the peas are starting to creep up through the soil, and the first tomato plant is feeling the tide of the sun. Wheelbarrows of compost need to be shovelled from one area to another. The soft fruits need mulched. The apple/pear/plum trees need manured. The strawberry bed needs weeded and fed. It is the springing time and things must be done to prepare for the summer. If we are to reap the rewards of a harvest we must put in the work now. Over the years we have often missed opportunities. We didn’t start our peas or beans in time. 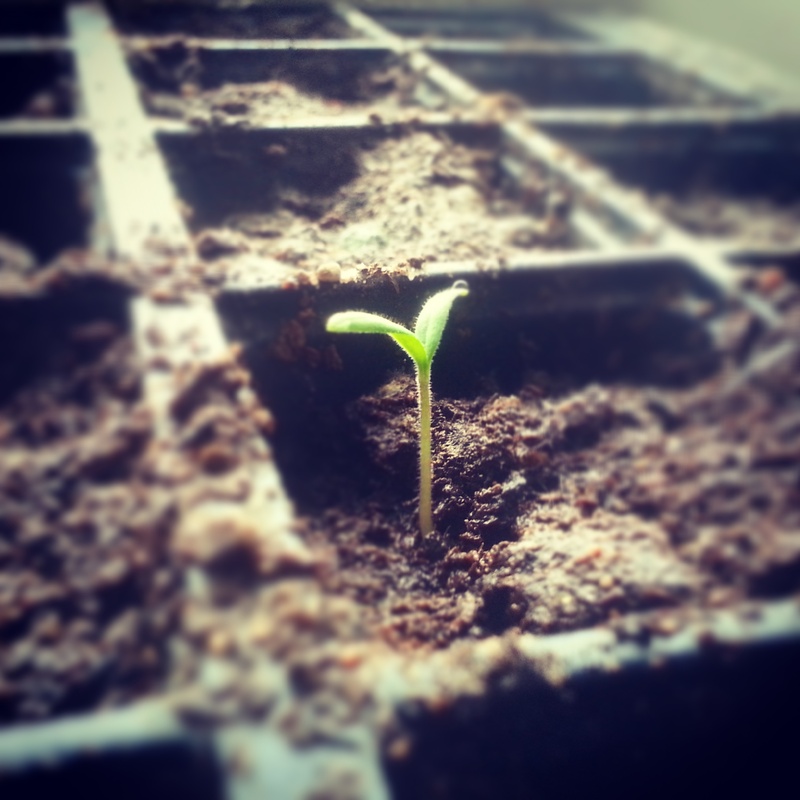 We didn’t sow the tomato seeds properly, with warmth to germinate them. We didn’t mulch the raspberries/blackcurrants/gooseberries. To be fair, a few years ago I didn’t know what mulching was. Now I watch Gardener’s World. 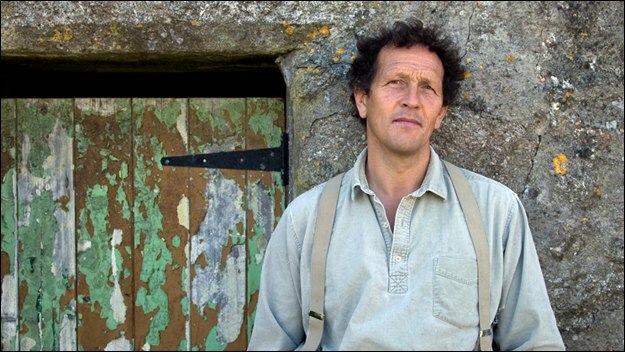 Can I feel less old if I watch Gardener’s World on iPlayer and flick through everything that isn’t Monty Don. I’m not interested at all when the colourful flowers are on display, or when it is explaining the benefits of winter colours. I want to know the tips and tricks that I need to apply right now. I have five hungry mouths to feed (including my own) and I need to know that raspberry roots are shallow, that apples must not be pruned every year, and that I need to put buckets on my rhubarb to ensure sweet stalks in two or three weeks time. Monty will tell me all these things. Three bags of potatoes have been planted (one bag still to go). Tomato seeds have been sown and are sitting on a sunny window ledge indoors. 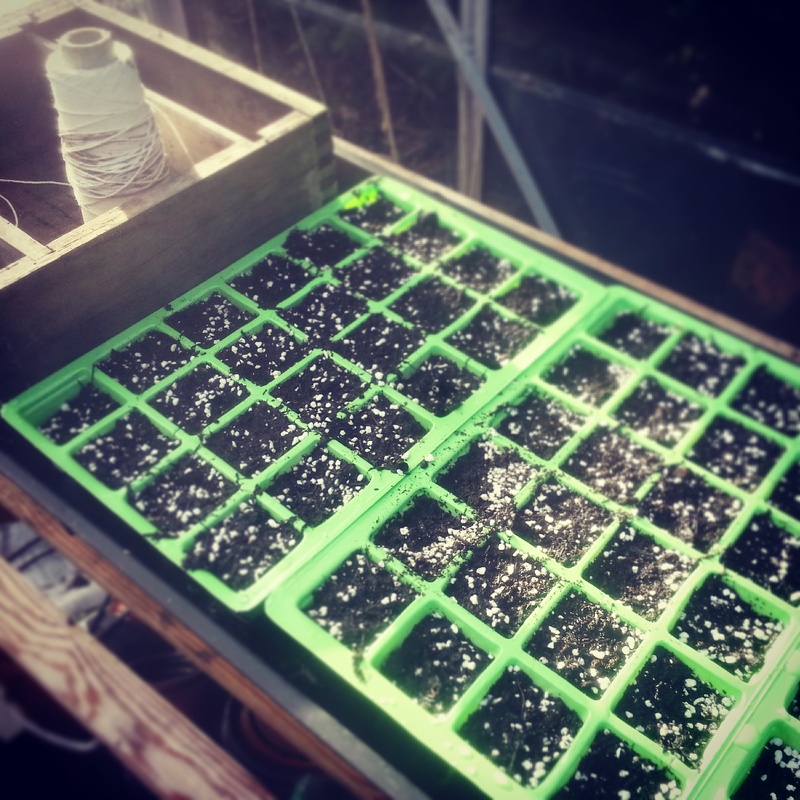 Peas and beans have been sown in trays in the greenhouse. Some of the raspberries have been mulched. Some of the apple trees have been fed. Wheelbarrows of compost have been shuffled about the garden. So much has been ticked off the mental list. 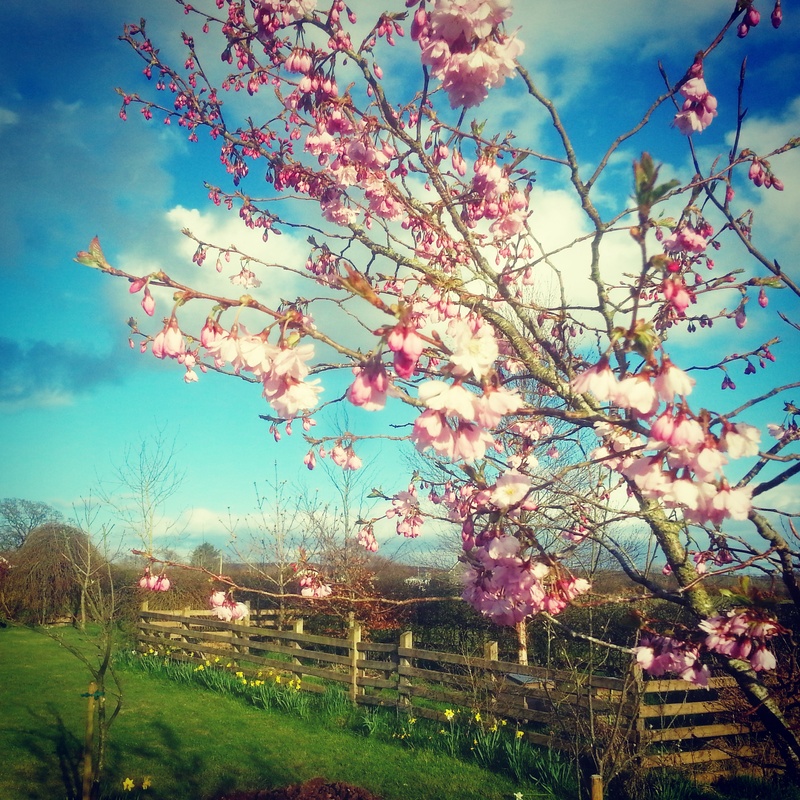 This is the joy of Spring. Things to do, things to be done. I could list all the things that need to be done but I’m not really sure what they are. Playing in the garden with the little people lets me notice more. Watching Monty reveals even more. It all sounds so busy. And it is. And it isn’t. It does feel like a balancing act at times. At other times I find myself with a minute or two to stand and ponder, then spy a bucket out of the corner of my eye; a bucket full of rotted collections from the guttering (collected on one of the finer days of winter). Then another bucket filled with rotted down weeds the lovely Sharon collected, before she forgot about it as she ran after one of the little people, then decided it was time to go inside. 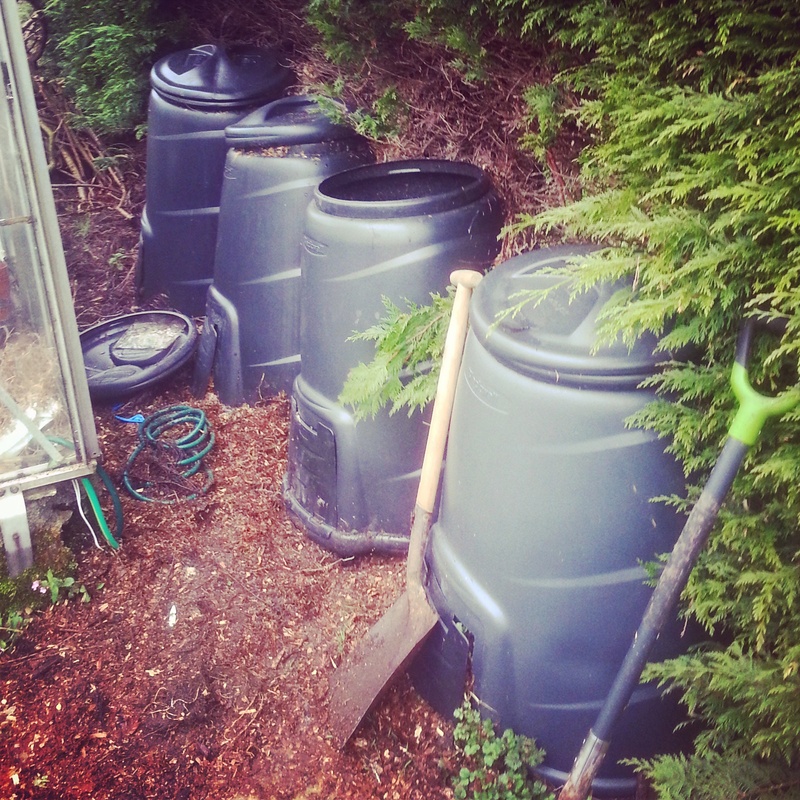 These buckets added to the growing heap of matter piling up on the main vegetable patch. This was a bonus to the main thought when I spied the buckets. The now empty buckets were turned upside down on the shooting rhubarb and weighed down with bricks from the other corners of the garden. It didn’t feel like something that needed to be done; it felt like something that would make a fine rhubarb tart in a few weeks time; something Monty would want me to do. Should I plant the potatoes before St Patrick’s day or after? Should they go in the ground under a waxing moon or a waning moon? It’s also said that they should be planted when there is no more risk of frost; which is impossible. There is an Irish saying that potatoes should be planted when the weather is such that a man can stand naked (translated to shirtless) in the potato bed. The lovely Sharon says we had weather close to that last week…under her wisdom I decided to prepare the ground for the potatoes. I decided this on a windy rainy day wearing my shirt, fleece and buffalo jacket. In the past we planted a few potatoes and enjoyed new potatoes which had only a few minutes between the earth and the pot. They were a novelty and and a welcome treat. Now they have become a staple food, a necessary item for the dinner table; for the little people. Last year I thought I was over-reacting by buying three bags of seed potatoes. I thought wrong. We consumed all the products of those potatoes before it was really necessary to store the surplus under clamps. There was no surplus. This year we have four bags of seed potatoes. Once we got them home the little man and I took great care in placing them in egg boxes on the window ledges. 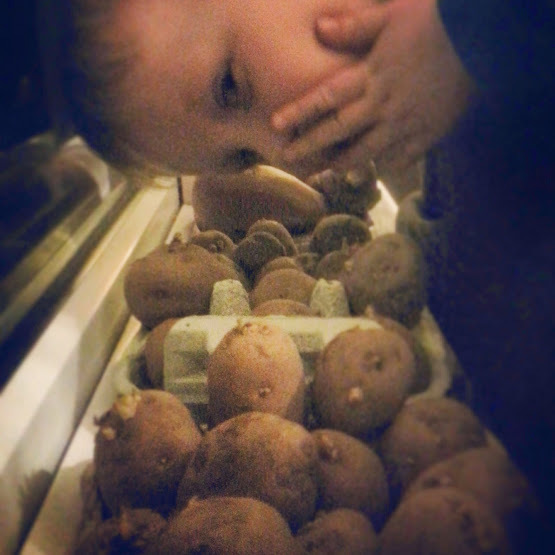 We learnt what chitting potatoes involves, and that potatoes have eyes. As a result of so many seed potatoes, and the added need to rotate where we plant them, I have decided to experiment with digging in some potato beds in the grassy lawn under the young apple trees. On good Friday I woke to a cold north wind and a drizzly rain. 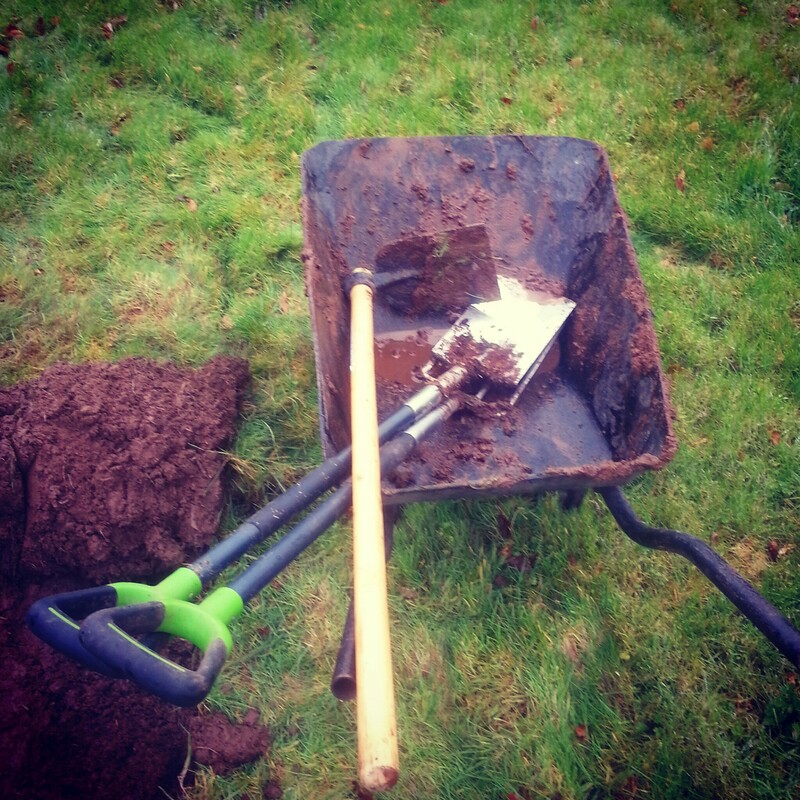 I put on old clothes and grabbed my spade, fork and hoe. The soil was muddy, saturated and thick with cold sleepy worms. I cleared enough for one bed of potatoes then, after trying to heft a full wheelbarrow then slipping and falling in the mud, decided to move on and leave the new potato beds for the day. Covered in mud and back in the familiar vegetable patch and raised beds. I started to prepare the ground. About a year ago I must have collected a few buckets of chicken manure and thought to keep them for a rainy day. This was the rainy day. I pulled apart one of the compost bins that no longer smelt of chicken poo. After a year of fermentation and microbial action, if was black, earthy, and smelt damp and fruity. It was shoveled out onto the raised beds and will soon be folded in. I had to stop. I have no time to stand naked in a potato patch, or look to the moon’s phases. All I can do is grab some moments when they arrive. We might need to feed and teach the little people how to chit, but our timetable is not dictated by the weather or the moon. The little people control the tide in our lives and they soon called me in from the garden, away from the rain and wind and into the warmth of the wood stove and laughter and stories from books.